The Nigeria Police Force said it has upgraded its Anti-Human Trafficking Section with the appointment of a commissioner to tackle the challenges of trafficking of persons and smuggling of migrants. Similarly, the police said it has continued to strengthen its inter-agency framework by seconding police officers to anti trafficking agency NAPTIP to improve the investigative and operational capacities of personnel to attain anti-human trafficking mandate. Inspector General of Police (IGP) Mohammed Adamu made this known at the opening of the INTERPOL workshop on countering trafficking in human beings and migrant smuggling in Abuja. 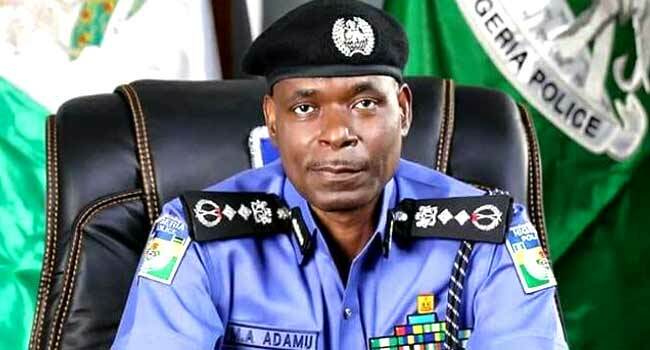 The IGP, while noting that the activities of human trafficking and migrants smuggling networks have evolved to become a major internal security challenge in the country, said the police was working with the various security agencies in the country to curb the scourge. “First, it is an appreciation by the Federal Government that the activities of human trafficking and migrants smuggling networks have evolved to become a major internal security challenge in the country. “Second, it is a clear statement that the government recognises that the consequences of human trafficking and migrants smuggling have critical national security and developmental implications and requires sustained intervention action build on capacity development for security agencies. “The Nigeria Police, working in collaboration with the National Agency for the Prohibition of Trafficking in Persons (NAPTIP) and the Nigeria Immigration Service (NIS), have been at the forefront in the fight against the menace. I must in this regard, recognize and commend the great works that the Director General of NAPTIP and the Comptroller General of NIS have been doing in this regard. “He assured that the Police under his leadership would continue to support the security agencies while strengthening its institutional capacity towards addressing the threat of human trafficking. “In furtherance to this, recently, the Nigeria Police raised the bar by upgrading the Anti-Human Trafficking Section of the Force with the appointment of a Commissioner of Police to head the Section. In addition to this, the Police have over the years, remained faithful to the inter-agency framework of seconding police officers to NAPTIP to support and enhance their investigative and operational capacities towards attaining their anti-human trafficking mandate. I can assure that these initiatives shall be sustained under my leadership as the Inspector General of Police. “Indeed, beyond this, I will in due course, engage with the Heads of NAPTIP and all other strategic security agencies with mandate for managing human trafficking and migrant smuggling with a view to strengthening inter-agency collaborative efforts and exploring new pathways and that will advance our common drive towards managing this national and global security concern in a coordinated manner.